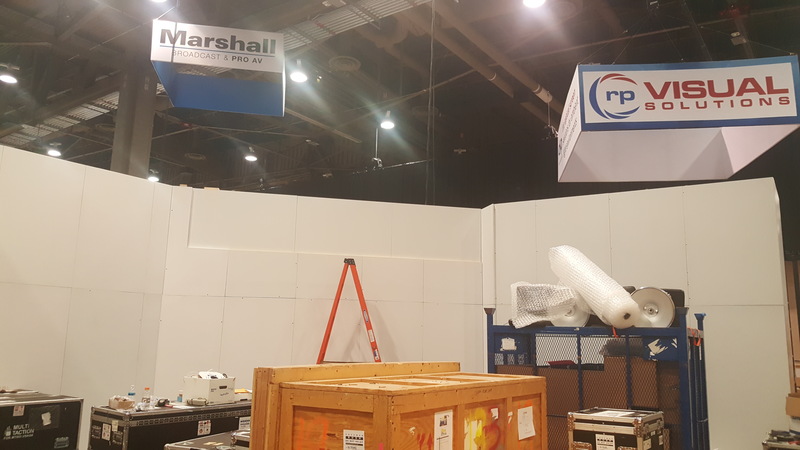 Hi, This is a 29' x 29' x 12' uniquely shaped booth with a storage room. there are some panels that have holes where our product was but this can easily be repaired. This is still in great shape and can be used many more times. I have other pictures of it set up at a trade show if you would like to see them let me know and I can send them.